Silk is dairy-free, soy-free, lactose-free and non-GMO. Being healthy is hard, but you can feel good about making the move towards eating more plant-based foods and with fewer calories, it’s all about the small victories. 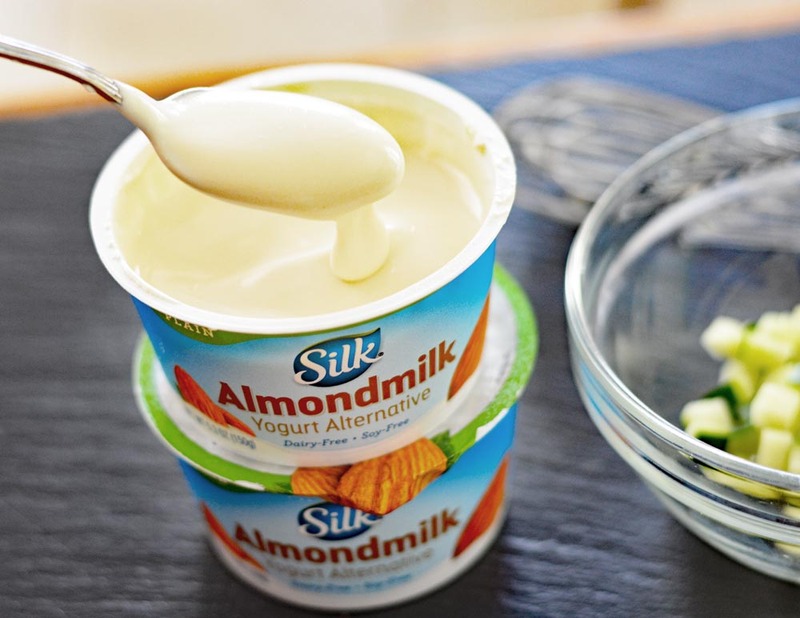 I am a huge fan of Silk in general, so I went right to my dairy section at Walmart and picked up the Silk Plain Almond Dairy – Free Yogurt Alternative. I also regularly buy the Silk Unsweetened Almondmilk. It’s my go-to! I actually add a splash of it in my tzatziki. 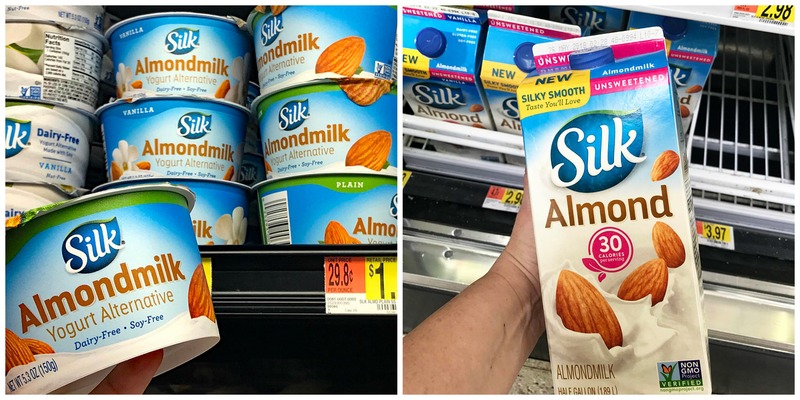 Click here or the graphic below to learn how to get $0.75 off of your next purchase of select Silk Plain Almond Dairy – Free Yogurt Alternatives at Walmart through the free Ibotta app! So let’s get right into the recipe! I like to get all of my ingredients together when I cook. This recipe moves fast, so get that oven preheating as well. In the food processor, I have the drained and rinse chickpeas (or garbanzo beans if you prefer), loads of fresh parsley (because I’m going for a very green falafel here), onion, lemon juice, spices and a small amount of flour to bind it all together. Give it a few seconds to puree and just like that, you’re done! Now that our mixture is scoop-able, I use a cookie scoop to make even balls. With damp hands, you can round them out a bit if needed. 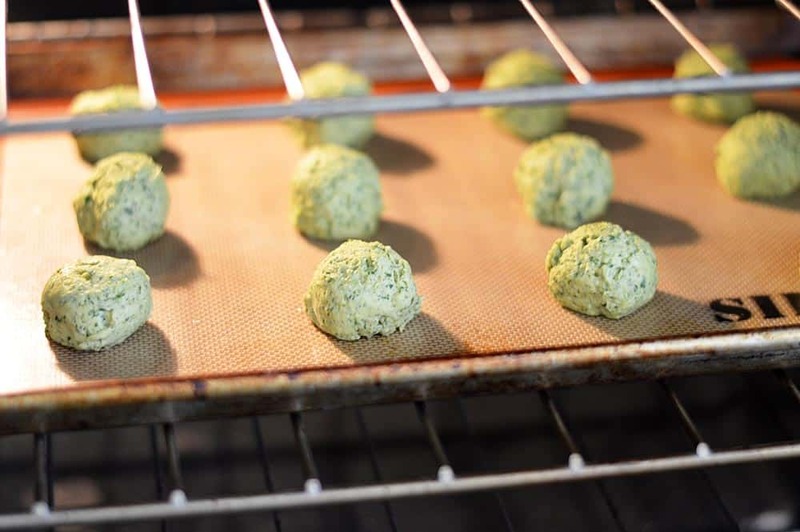 A silicone baking sheet or parchment paper help to prevent any sticking that may occur. 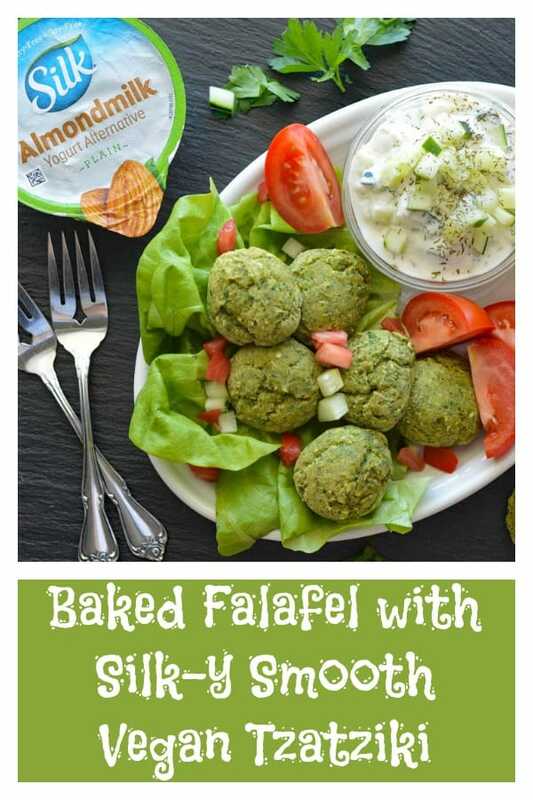 Falafel are typically fried, but they bake up perfectly in the oven (or air fryer). Mine took just about 10 minutes or so at 350 degrees. 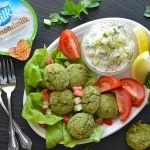 I combined Silk Plain Almond Dairy – Free Yogurt Alternative with diced cucumber and spices like dill to create this vegan tzatziki. It really is silky smooth in texture and tastes amazing! I use this as a based for nearly every “dairy” or “cream” based sauce I create. 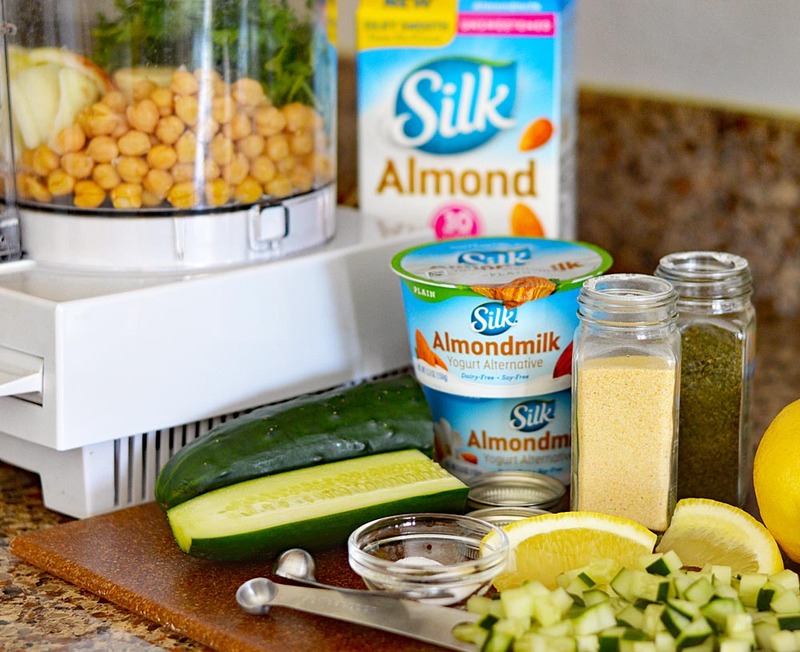 The plain allows you to change the flavor from sweet to savory with just a few additions. 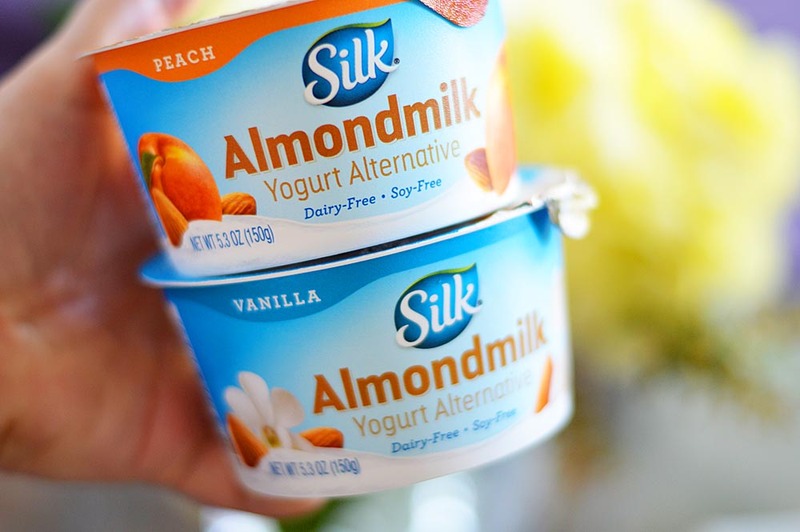 And if you like the Silk Plain Almond Dairy – Free Yogurt Alternative, you NEED to try the vanilla (my personal favorite) and peach which is also really delicious! 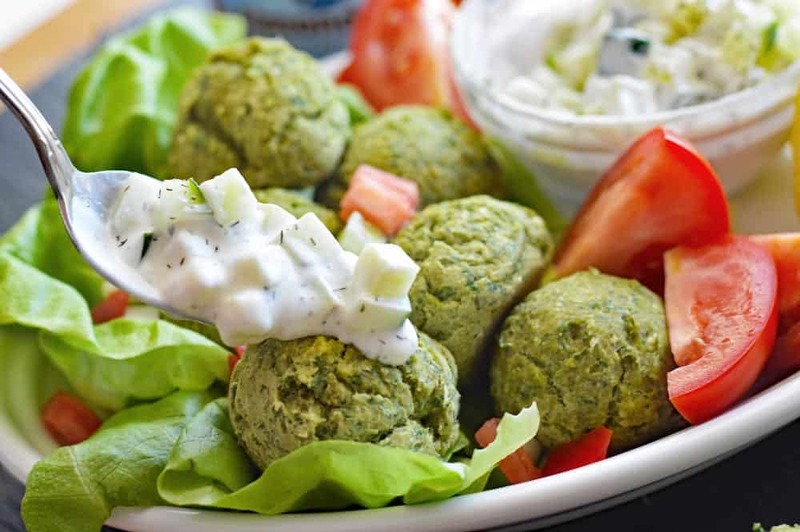 Just look at our falafel. 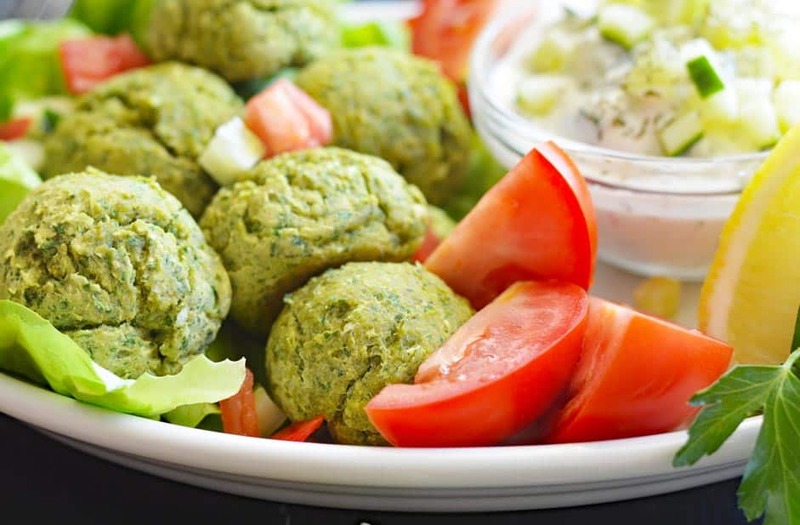 I love the bright green color and serve it with freshly sliced tomatoes over butter lettuce (you won’t even miss the pita bread). 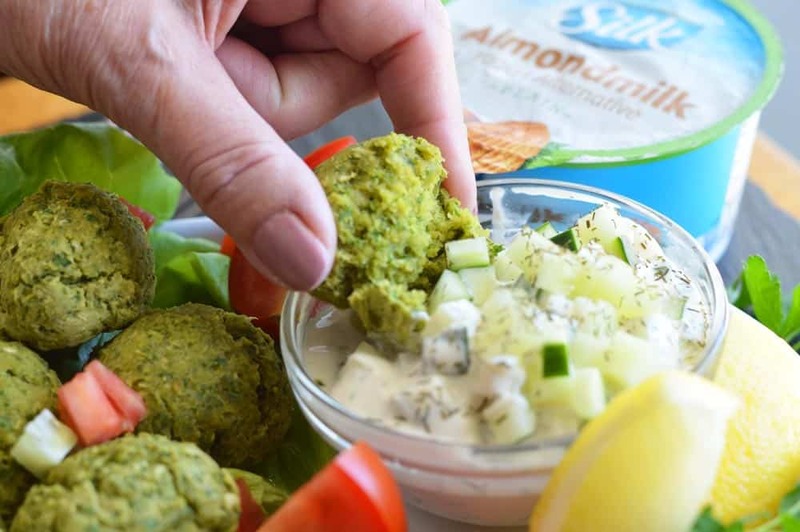 Did you make this recipe for Baked Falafel with Silk-y Smooth Vegan Tzatziki? If so, leave me a comment below and let me know what you thought! 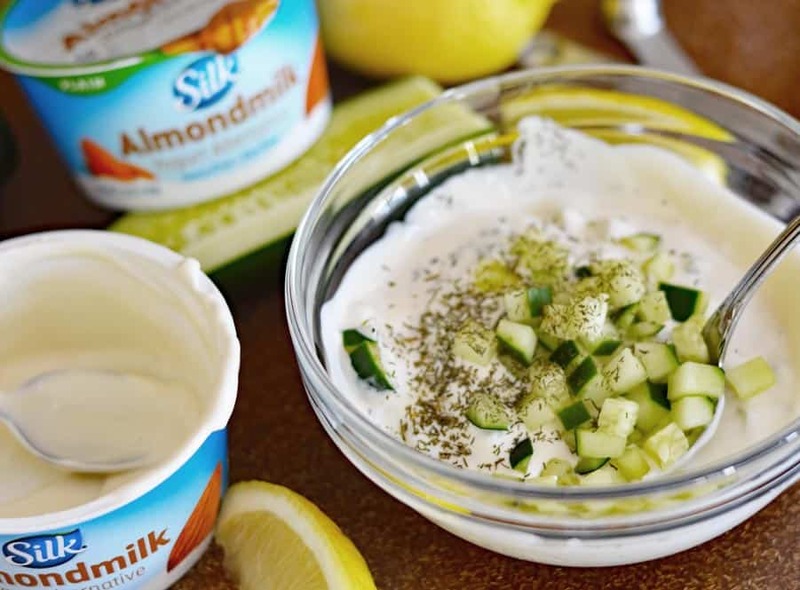 How do you enjoy your Silk yogurt alternatives? Whisk the ingredients for the tzatziki together and place in the refrigerator until ready to use. 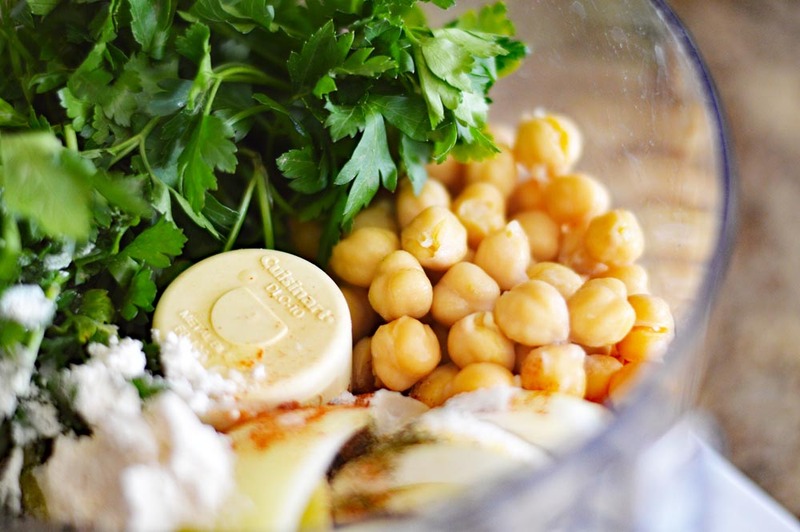 In the bowl of a food processor, add all of the ingredients and pulse until roughly combined. It should hold together well, but if it's too moist, add 1 tbsp of flour. 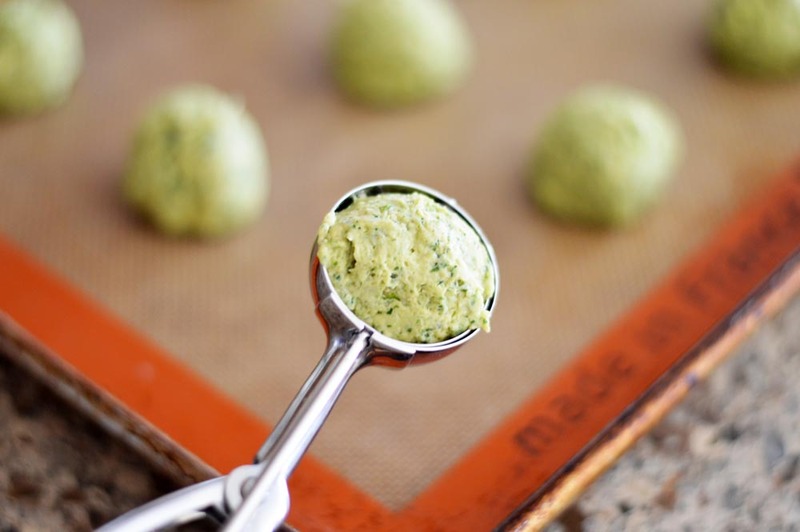 Using a cookie scoop, place onto a line cookie sheet. Using damp hands, you can shape them if necessary. Try not to handle them too much. Bake at 350 degrees for about 12 minutes (oven temperatures and times vary, but the bottoms will be golden and they will be cooked through). 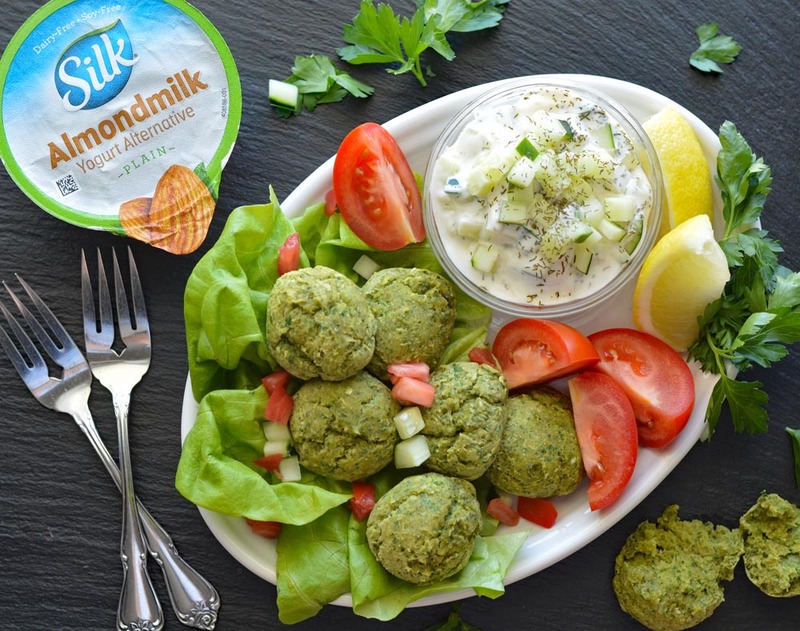 Serve with wedges of lemons, tomatoes and our tzatziki over a bed of butter lettuce. « My “Recipe” For Fun and Fitness!